Help! I am afraid of getting cancer! Lots of people my age are getting cancer. I know of at least three people with breast cancer. And quite a few more with other kinds. I find myself looking for lumps and wondering how I will cope with chemotherapy and what it would be like to wear a wig. I have even been buying wigs! It seems that there is no way to know if you will get cancer, and no way to really know for sure that you can prevent it. Maybe I will get cancer? Will I be able to cope, if I do? I am scared. I am also scared that the more I am secretly scared of it, the more likely it is to happen. It seems to happen so suddenly and unexpectedly. I have become a total hypochondriac! I find myself constantly reading stuff about illness, and buying vitamins and trying to make sure I don’t get cancer! The more I obsess about my health, the more I discover things to worry about! I do all kinds of healthy things and take loads of supplements, but everyone seems to have a different opinion about what you should be taking or doing! I try to pay attention to all of the theories, but they confuse me and they don’t stop me worrying. I really want to relax! I want to feel safe. I want to be able to trust my body! Please can you help? This is an important question to address, this fear of cancer. It is all the more important because as you say, it is a secret fear. Not a fear you like to admit to. There is much fear around having fears. There is a general fear that fear creates more of the thing that you are afraid of. In one sense, this is true. By harbouring fears that you do not like to confront, you can become more magnetic to situations and events that reflect the hidden feelings. But having a fear does not mean that you will develop cancer. Having or entertaining a fear simply means that there is something that needs to come to light. And because you have mentioned it, we shall shine a light on it. 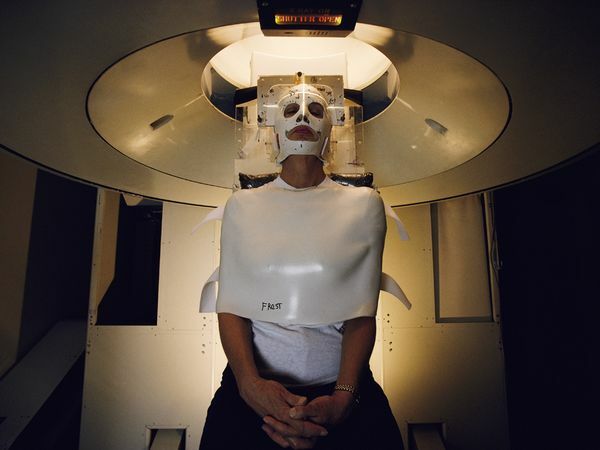 You are not alone in fearing cancer. Many, many people feel the same way. And like you, many people do not like to admit to their fears. Which is why we applaud you now, for having had the courage to do this. You may have noticed that already, just by addressing the issue, you have caused your feelings to change. Strangely, I was just thinking that. There is a part of me that feels that everything is going to be all right now! Just because I talked to you about it, even without hearing what you have to say, I feel better. Indeed. You have created an opportunity for your deepest fears to be expressed and looked at. And just by doing that, they begin to shift and lighten. Because as you have noted, everything is going to be all right. And a part of you does know that, always. It is simply a matter of paying attention to that part, of listening to that part, even when other voices seem to clamour for your attention. You may have already noticed that you live in a world where many people are afraid of their bodies. Afraid that they will suddenly be struck down by illnesses like cancer. But you may have also noticed that not a lot of people pay attention to their bodies before these illnesses occur. Some of you do know what it feels like to inhabit a healthy, vibrant body and mind. But many of you simply expect to struggle constantly with tension and fatigue, high blood pressure, headaches, indigestion, heart burn, constipation, back ache, insomnia and a whole range of other ‘everyday’ disorders. There are an enormous range of products on sale in your pharmacies to suppress and control the symptoms of these ‘dis-eases’. And rather than look into and treat the causes of these problems, many people prefer to take medication and get on with the more important business of earning money and sorting out other people’s problems. We do not in any way criticise or condemn this tendency to ignore or dismiss the signals that the body gives, when it experiences a dis-harmonious situation. But it is important to note that with practice, you can become so adept at ignoring your body that you develop the capacity to ‘tune out’ ever more serious and uncomfortable symptoms. This can be extremely useful, when you are on a battlefield and all of your attention needs to on the situation at hand! But when you continually ignore symptoms and make no attempt to choose ways to address their causes, it is possible that more serious illnesses can take hold. What we are suggesting, then, is that in order to ensure that your body and mind have the best possible chance of being healthful, you practice paying attention to how you are feeling on a daily basis. Practice sitting quietly, or lying on the floor with your eyes closed and noticing exactly how you feel. How is your breathing? Is it deep and even or is it shallow and jagged? How easily can you drop all of your concerns and allow your mind to rest? Practice paying attention to how you feel as you move through the day. How relaxed is your approach, or how much do you rush and panic? Begin to notice opportunities to relax, and to let go of hurrying. Notice how much of your attention is in the present moment and how much of it is taken up with thinking about something that has already happened or is about to happen, or may never happen. Practice paying attention to what you put into your body. What kind of foods do you eat? Where do they come from? Who prepares them? How do they make you feel, after you have eaten them? Play around with trying different foods, just so that you can notice their effects. May we suggest that you maintain a light hearted, curious and experimental approach to your diet. For it is very possible to become worried, stressed and guilt ridden if you take it too seriously! Practice paying attention to how you feel, emotionally. Notice if you are feeling joyful or sad, excited or angry, hopeful or hopeless. It is important not to judge yourself for feeling any of these things. The more you can pay attention to your feelings without judgement, the easier it will be to move through them, to not feel ‘stuck’ in them. You may notice that certain situations repeatedly trigger certain feelings. When this happens, you may wish to explore what it is that you are saying to yourself in these situations. You can do this by writing down what goes through your mind, without editing your thoughts. Practice accepting what you write, without criticism. Allow yourself to be as you are, rather than as you think you should be. If you feel resentment or anger, allow yourself an opportunity to express it! Practice relaxing your muscles and your brain. Practice loving. Loving yourself and loving others. Practice acceptance of what is. Even acceptance of those things that you do not like! Deep down inside of you, you know how to feel good. You may not yet know that you know, but you do know. If you do not think that you know how to feel good, begin by asking the question. ‘How can I feel good?’ Answers will begin to come to you. Pay attention to how you respond to the answers. If you are a person who worries that you are selfish, it is more than likely that you are not. Take it from us! From our perspective, there is no such thing as a selfish person. Only a mis-guided person. Your own feelings are a wonderful guidance system to help you make beneficial choices! And so, to conclude. In order to prevent cancer and other dis-eases in the future, it is important to develop awareness of how you are in the present. As you pay attention to wellness, and cultivate wellness in all areas of your life, it will become very difficult to also cultivate dis-ease.